On 26 February, Zolotaya Seredina launched the pilot version of an updated bonus programme for Parfyumika, a large retail chain based in Novosibirsk. The main goal was to maximise the efficiency of the existing bonus programme. According to Rostislav Senkevich, the Director of the Parfyumika retail chain, there were many reasons to agree to partner up with Zolotaya Seredina. One of the most important ones, however, was an opportunity to work with the team that is highly qualified when it comes to CRM systems, the team of interesting, energetic, and goal-driven people who are experts in managing today’s business processes. «We offered to improve Parfyumika’s existing reward system with the help of our technologies,» says Anastasiya Govorova, the Director of Loyalty Programme Development and Implementation at Zolotaya Seredina. 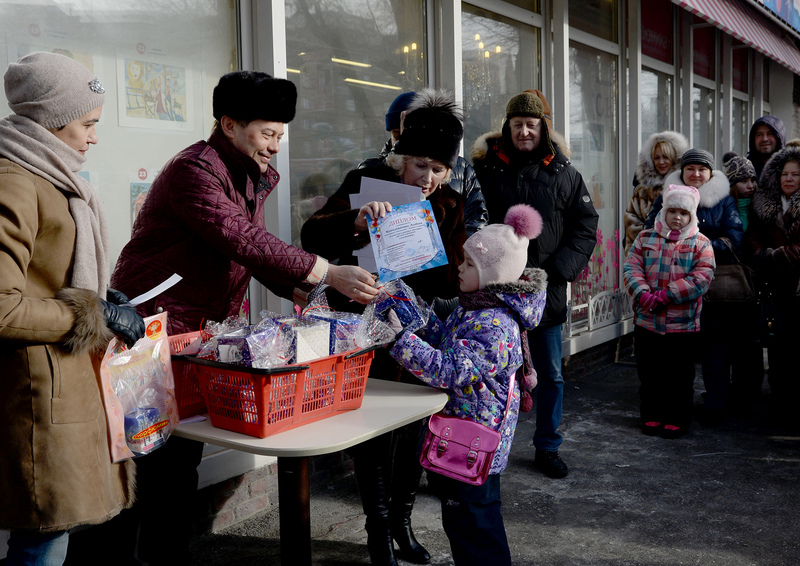 The pilot project will be implemented in five Parfyumika stores and will last for six months. During this time, the specialists of Zolotaya Seredina are expected to fulfil several important tasks: to increase the number of repeat purchases and the number of Parfyumika’s active customers, as well as to ensure the increase in the average purchase size by implementing new bonus mechanisms. «All these tasks are achievable,» assures Anastasiya Govorova, the executive sponsor of this project. Anastasiya Govorova admits that she was surprised by Parfyumika’s ongoing pursuit of innovation. It is actually true: they were the first in their city to implement a discount and bonus programme for customers in 2001. Parfyumika is not afraid to try various shop formats: there are 21 stores in the retail chain, each having its own approach to customer relationships management and merchandise display. It is nice to see how the chain’s management always tries to introduce some original marketing actions. It is supposed to be the privilege of federal retail networks, as Anastasiya points out. The pilot project will take into account all of the chain’s unique properties. That is why Zolotaya Seredina’s proposition was to bring experiments to five Parfyumika retail stores with different formats. «We need to know the exact effect that our programme might produce on each of them,» says Anastasiya Govorova. One of the key decisions within this project is to implement a Share Ledger, which was specifically designed for the increase of the factors essential for this network: the average purchase size, repeat purchases, and the number of active customers. The plan is to measure these indicators for the first time at the end of April, so as to see their growth dynamics during the first month of the programme. «It will help us to further improve these indicators and, therefore, make our Customer happy,» says Anastasiya Govorova.